With the 65th anniversary of Her Majesty The Queen's crowning, and an eagerly-anticipated royal wedding, 2018 is a year loaded with events. At The Royal Mint we are constantly pleased to be marking such delighted occasions with the country, striking the official United Kingdom coins that will last for generations to come. These happy times likewise surround a historical point in royal British history, as not since the reign of Queen Victoria have 4 succeeding generations of royalty had the ability to come together to commemorate these crucial turning points. 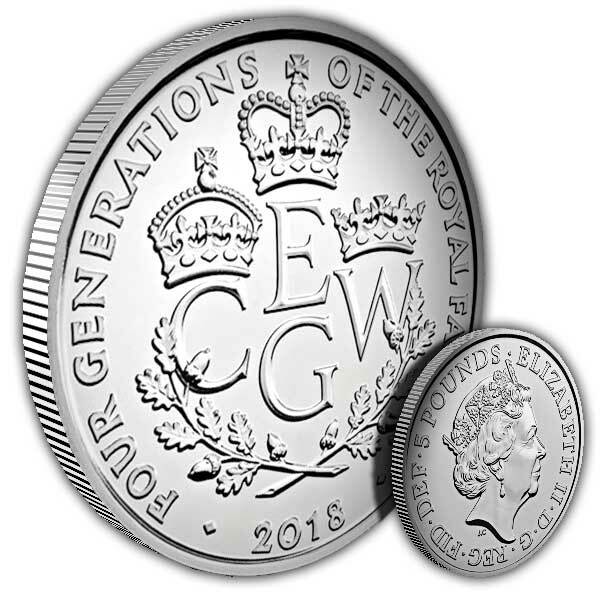 Now, as these 4 generations of the Royal Family mark an increasing variety of public and personal events, we commemorate the growing household with a United Kingdom coin authorised by the Palace. This celebratory coin is completed to Brilliant Uncirculated standard, a finer surface than the coins we utilise every day. 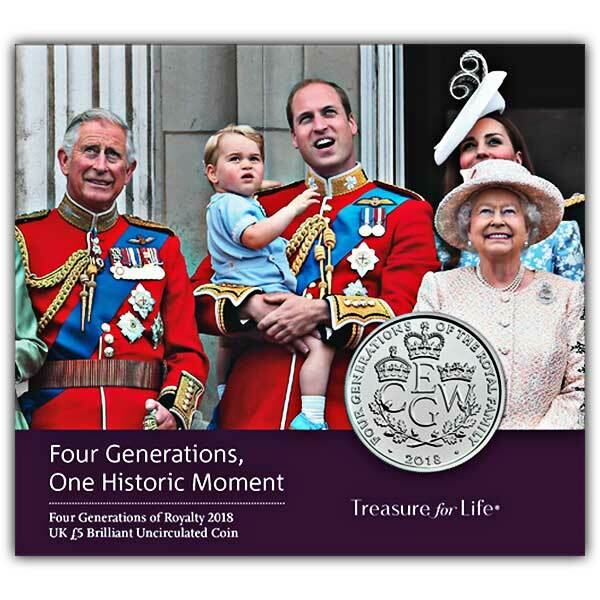 It is presented in a folder that is filled with details and images on the 4 generations that are commemorated on this coin. What I wanted when I wanted it. Nice Royal Mint coin with an interesting theme. As always sent quickly by IOM Stamps and Coins - first rate service. The envelope arrived torn, I think by the mail sorting, fortunately coins were protected well. I am very satisfied with the service.